Welcome to the USA Racquetball 2019 National Singles Championships. To watch the Livestream broadcast of the matches played on the Championship court, visit the USA Racquetball website and click on the National Singles banner ad. Players who enter by the Early Entry (Before May 3rd) will receive a $20 discount. The regular entry will be May 3rd - 10th. USA Racquetball has eliminated a Late Entry period. Entries must be received by USA Racquetball or made online by the deadline dates. Payment is due at the time of entry. USA Racquetball reserves the right to close entries of any division at any time. U.S. Team Qualifying divisions will remain open through at least May 3rd. Refunds of entry and referee fees (less a $10.00 service fee) are available for withdrawals on or prior to Friday, May 10, 2019. Additional fees may include $25 for returned checks and $10.00 for declined cards. National Singles is the culminating event to determine who receives an invitation to the U.S. National Team. Watch your favorite players vie for points to compete in the Pan American Games. Players in Elite, A, B, C, and D divisions must not have won the same or higher skill level at a national competition in the past 13 months. State association representatives will be consulted regarding the accuracy of entries. USA Racquetball reserves the right to re-classify and/or disqualify players if they are inappropriately entered. No player may compete in a skill level below their own, regardless of their partner’s skill level or gender. For guidance on Skill & Age Skill level entries based on ranking, visit www.usaracquetball.com. SAVE with these BELOW MARKET RATES! Mention USA Racquetball when reserving. (303) 683-4100 $149 Single/Double. Available while supplies last and before April 22, 2019. Breakfast is included in the rate for two people, and the hotel operates a shuttle to/from all clubs. (303) 770-5400 $109 Single/Double. Available while supplies last and before April 28, 2019 at 12 AM MST. Breakfast is included in the rate for two people. Proud to Fly Team USA. This National Championship is hosted for USA Racquetball members only. All participants must be current USA Racquetball members. Participants under the age of 50 on the first day of play must compete in a qualifier (2019 USAR Regional, National Intercollegiate Championships, WSMRA/NMRA National Championships and State Singles Championship using a Penn ball) or purchase a $25 waiver. 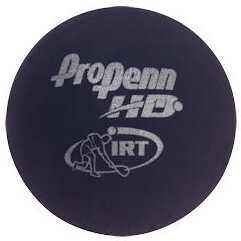 Penn is the Official Ball of USA Racquetball and the ProPenn HD ball will be used in all matches. Only U.S. Citizens or individuals who have an active application for Citizenship may compete in the U.S. Team Qualifying divisions; all other divisions are open to U.S. Citizens and residents. For age division competition, players must meet the age requirement as of the first day of competition. Eyewear is required for all play. competition, including the mandatory use of protective eyewear, tested to impact standards. It is the player’s responsibility to ensure that their eyewear conforms with the standard in Rule 2.5 (a). Match losers are expected to referee a match immediately following a loss. USA Racquetball encourages all players to become certified referees. Referees with up-to-date certification will receive $15 per match, others will receive $10. 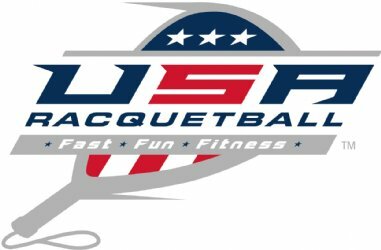 Visit USARacquetball.com to learn about certification.